The cannabis industry is undergoing a revolution. Cultivators are out of the shadows and are now employing cutting edge technology to improve their crops, and the Phylos bioscience firm is leading the charge when it comes to helping cultivators and cannabis professionals develop solid scientific foundations for their work. Phylos is an agricultural genomics company using modern molecular genetics and computational biology to provide breeding, genetic and R&D services to cannabis professionals across the world, and Casa Humboldt is pleased to be working with Phylos in order to evaluate the development of our unique varieties and to understand the breadth of our genetics. In fact, Phylos came out to the farm this week to collect samples of clonal tissue for genetic analysis! 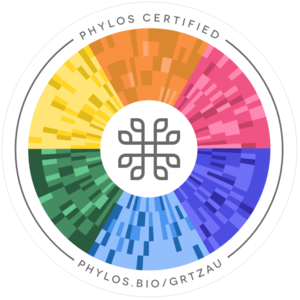 With the power of Phyllos genetic testing, we are able determine the closest genetic relatives of our signature strains by submitting clonal tissue for genetic analysis. We can determine the rarity of a particular genotype, as rare genotypes have few genetically similar neighbors in the Phylos Galaxy, a database of thousands of strains from over 80 countries. We can also determine the stability of a breeding line — a stable line will produce seeds (offspring) with consistent physical characteristics (phenotypes). Interestingly, Phylos gives us insight into a given strain’s most distant varieties, useful information since crossing distant varieties can result in novel phenotypes. Check out the Phylos genetic report on our Pineapple Upside Down Cake variety from the Humboldt Seed Company. Its closest relatives include Dark Matter, Strawberry Cheesecake #112, Ebola 7 and AFCO 38. It is a fairly common genotype, but more on the rare side, and it has heritage similar to varieties in the Phylos genetic subgroups of Hemp, OG Kush, Skunk and Berry. Pineapple Upside Down Cake does have a high level of genetic variation, so is not considered a true breeding line at this iteration. Its most distant relatives include Gold Colombian, Peach Kush and Kosher Kush. At Casa Humboldt, we have a lot going for us already. For one thing, we’ve been cultivating here for decades, so there is history on this land. Another built-in advantage is our terroir, the environment in which our cannabis is produced — the Eel River Valley in the hills of Southern Humboldt is ideal for cultivating cannabis. The relationships we have with world renowned breeders and strain hunters like Humboldt Seed Company and Hendrx Farms are an asset as well. By incorporating all of these factors with the advanced technology of Phylos, we are able to produce cannabis that is best suited to our unique ecosystem, resulting in extraordinary and unparalleled product. Visit our Strains Page to learn more about the unique genetics Casa Humboldt is producing, and to link to more of our Phylos genetic reports.